You are looking to rent a car and weighing your options carefully. Should you choose to rent with Avis Rent a Car? Before you decide to rent a vehicle, it pays to do your research and carefully consider the pros and cons. Avis is based in New Jersey and, since 2014, runs the popular ridesharing program Zipcar in addition to its traditional and budget rental outfits. They have locations in North America, South America, India, Australia, and New Zealand. Avis specializes in rentals to business clients, though they certainly also offer private rentals and also sell used vehicles. Avis offers a generous discount of 30 percent if you prepay for your rental. AARP members can also save 30 percent off of their rental costs. Avis has better weekly rates than some of their competitors do. Avis Preferred, the company’s reward program, is free to join. You can get bonus points when you rent accessories and get 100 points just for signing up, and you will get expedited in-store service when you pick up and return your vehicle. Once you rent 12 vehicles or spend at least $5,000, you will be elevated to Preferred Plus status, which gives you access to complimentary upgrades and lets you earn 25 percent more points per dollar spent. Avis will pick you up for free from your home or hotel. They have nearly 2,000 US locations, including stores near airports and in more suburban areas. If you are a Costco member, you may be able to save even more. Avis is the official rental car company for Costco Travel. The company has an app, helpfully named Avis app, through which customers can make and amend reservations. Most of Avis’ locations cater to business travelers, as does their rental process. The majority of their locations are located near airports, and you save big if you prepare, which is much easier if you have a corporate credit card to use. 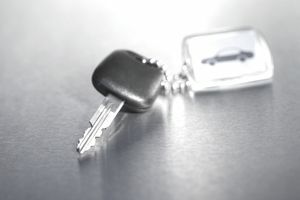 Many renters have reported that when they have reserved a car in advance, it is not available for pickup when they arrive at the rental location. Many renters have also reported that they have been severely overcharged, and many have had to threaten legal action. Avis is known for renting primarily GM vehicles, a practice they have had for half a decade. They do offer some foreign brands, like Nissan and Toyota, and a couple of other domestic offerings, but the vast majority of their fleet is and will remain GM. The selection of hybrid vehicles is scant. To earn a free rental through the rewards program, you will have to earn 700 points or more, which is a lot more points than the average rental car company requires. Avis charges $13 per additional driver, a lot more than some of their competitor's charge. There are not really that many exciting offerings beyond a standard sedan. Though there is a link which ostensibly goes to luxury rentals, it redirects to a page for “Nissan Frontier or Similar Mid-Size Pickup Truck Rental” – not exactly luxurious in my book. Book in advance if you can. The closer you get to your desired reservation date, the more expensive your rental will be. If you are booking around the holidays, this is even more important, as models could sell out before you have a chance to book. Make sure you read the contract carefully and keep a copy for your records. Most of the individuals who have reported problems, unfortunately, did not keep proper documentation, which makes remedying any issues all the more difficult. If you do run into problems, you might need to lawyer up or get Consumer Reports involved. If you are a business traveler with a corporate credit card, Avis is probably your best bet. Your company will appreciate that they save 30 percent off the sticker price by paying ahead. You could end up getting overcharged but is that such a big issue when someone else is footing the bill (and the lawyer fees if things need to escalate?) If you are an individual just looking for a good deal, you might be better off looking elsewhere.